Compact 1/2'' (13mm), 18V Cordless Drill/Driver Kit, Compact Size: Allows Users To Fit Into Tight Spaces, Lightweight Design (4.8 LBS) Minimizes User Fatigue, 1/2'' Single Sleeve Ratcheting Chuck Reduces Bit Slippage, Dual Speed Range 0-500/0-1,700 RPM Delivers Optimal Performance, High Performance Frameless Motor Delivers Maximum Power Of 410 Unit Watts Out, LED Work Light Provides Increased Visibility In Confined Spaces, 2 Speed Settings, Clutch Settings 17, Chuck Size 1/2", Chuck Type Plastic & Single Sleeve. Man this is the best compact yet i drilled clean through a tree in 15 seconds with ease and i am talking about a real tree. I'll be back to review it further after I finish building an addition to the house. 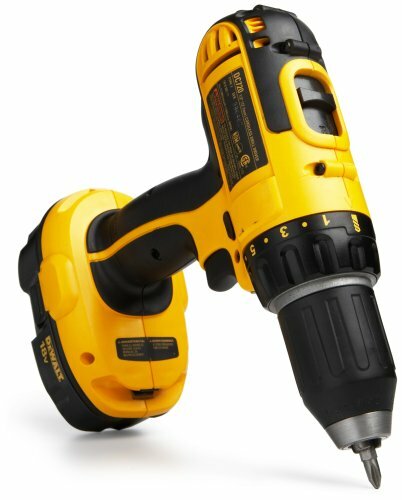 My son gave me my first 18-volt cordless drill (Black & Decker) four years ago. It was adequate for light use, but lacked power. 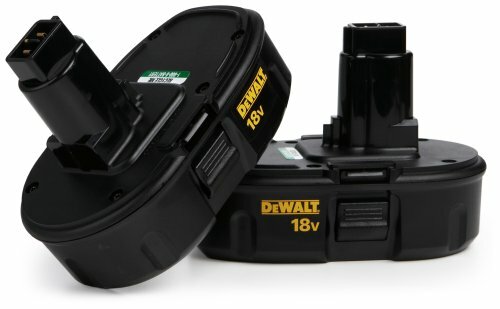 I upgraded to the DEWALT 18-Volt Compact Drill when I started my barn project. I have definitely not been disappointed. It has far more power than my B&D and the two speed feature is a big plus allowing a slower speed for driving screws and a higher speed for drilling metals. The 1 hour charge feature is a big plus. This is the best drill that I have ever owend. I have only used it a little bit since the purchase but bought this and am very happy with it. This is a very powerful drill. It even screwed right into 2x4 without pilot holes. Charge seems to hold for a long time. Make sure you charge as soon as you get it. I put the battery on the drill just to check for charge and it seemed to have one so I didn't charge right away. Well charge from factory was minimal so had to stop project to charge the the batteries, good thing is the battery charged in about an hour. Best drill I have ever had. It just has a better feel to me than my frineds Milwaukee. I had a Ryobi that worked well for 1 year, but after a year it started to run rought and it was suggested to me to buy a more quality tool. 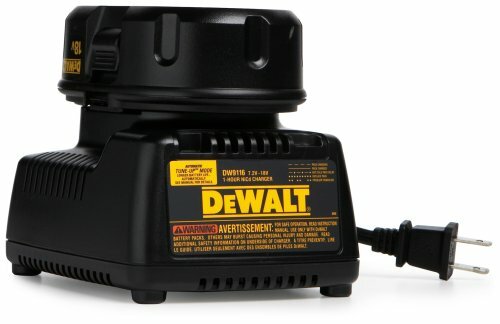 Wasn't sure to get Dewalt, Makita, or Milwaukee, but I'm glad I got this Dewalt. Small for an 18v but more than enough power. I have put this guy through the test more than once, its a work horse easy to use and holds up well. This is the second one. I have had the first one still works well except the battery's have gone bad and they cost as much as a new drill. 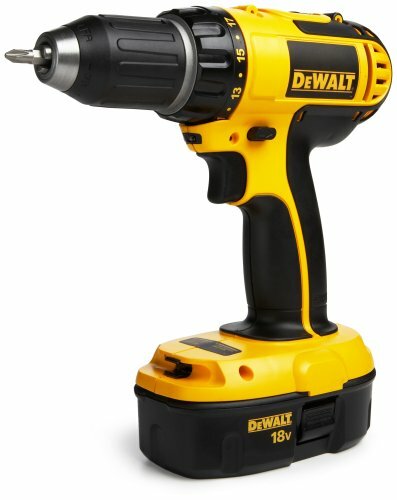 I purchased this drill/driver for my husband to replace a Dewalt drill/driver he has had for over 18 years. All of his power tools are Dewalt so I saw no reason to change. I researched on line to find a good deal & Amazon as always beat out the competion. 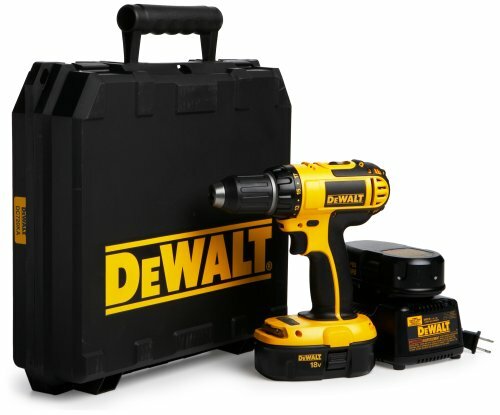 Great drill, great price. You get what you pay for. This is a fantastic drill and has met all of my needs. I'm not a contractor or put the drill to heavy use, but it does everything I ask. I really should review it in 10 years, but since I just got it, it has exceeded expectation so far. Amazon had the best price anywhere and I got quite a deal. Drill, case, 2 batteries, charger. More power, longer lasting on a charge, and more heavy duty than any drill I have had previously. This drill is exactly what I was looking for, small, relatively light, and has lots of power. The light onthe front is a great feature and the one handed chuck is great. It also uses my 18v XBR batteries as well...a nice feature if you are going to take it out somewhere. Being a journeyman carpenter for over 20 years this is a great drill. I have had this drill for ten years now and I am just now replacing the battery. All of the tools that I use are from various manufacturers based on the tools ability. I use Dewalt drills and miter saw. I use Makita for saws as well. It just depends on the tool to which brand I select. 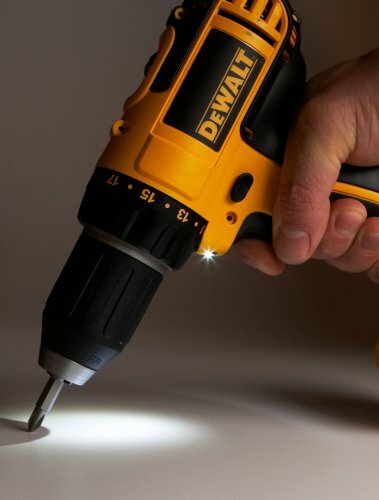 Each brand is known for something and Dewalt makes a great drill.